The <title> tag is crucial for any SEO strategy to succeed. Missing, duplicate, and poorly written title tags can all negatively impact your SEO results. This post will help you understand what goes into writing and optimizing a great title tag. The title tag is an HTML tag that exists in the head section of each webpage. It provides an initial cue or context as to what the topical subject matter is of the respective page it is on. The title tag is featured prominently in the search engine results pages (typically it is used as the clickable link) as well as in the browser window. Other than those two places, it isn’t as visible as other web content on a given page (e.g., body copy, image content, and other aspects) that a user will see immediately when landing on the page. Title tags aren’t a visual element users will see on a webpage, so the title tag can sometimes be overlooked. At the same time, the title tag by itself has little impact on organic rankings. No one item alone is magical or powerful – especially if your content is low-quality or you’ve neglected technical SEO. Here are eight important aspects to consider when optimizing your title tags for search. 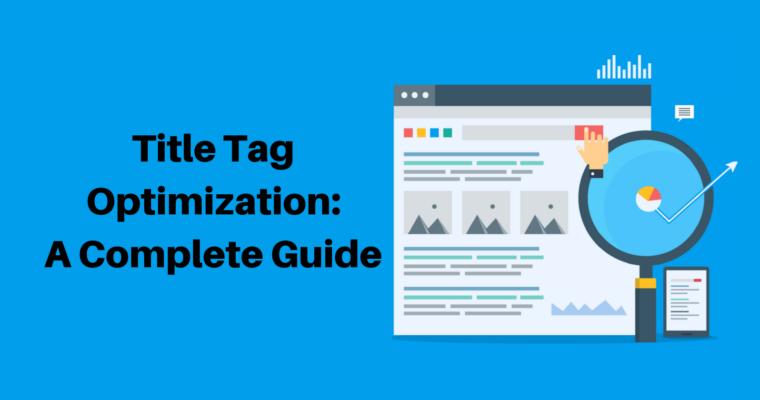 Before you can write an optimized title tag, you need to know where the page fits into the overall hierarchy of the website. A home page title tag is going to be much different than a blog post or product page. For websites that have a lot of pages, it can be challenging to come up with tags that are different from page to page. That’s why mapping out your site and knowing where each page fits into the context of your subject matter is important. Each page deeper you get into the site, the more specific you can and should be. You can repeat words and phrases but should be more detailed each step down into the site you go. The next step of understanding where the page fits in the hierarchy of the website overall is to evaluate the content on the page. The title tag is most impactful for search engines and users when it introduces the topic of the page and the same important keywords are used in body copy, image alt attribute, the meta description, URL, and other aspects of the page. It is a wasted exercise to ignore the page content when writing the title tag if it contributes to a higher bounce rate and can’t lend more relevance to the topic of the page. You should use words in the title tag that are also used in other parts of the page to tie the topic together. Duplicate title tags are not helpful to searchers or search engines. If you have duplicate tags you’ll see them in Google Search Console or Bing Webmaster Tools reports and you’ll often find that the search engines have chosen to ignore your title tag and use other content it found on your page for the blue link text in the SERP. When multiple pages have the same tag, those tags are useless to the search engine. 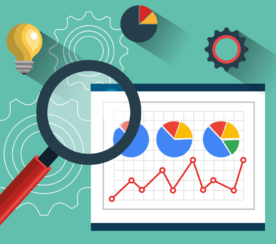 You can use the data provided in Google Search Console and Bing Webmaster Tools to find where you have issues as well as run your own tests through any number of on-page auditors and crawling tools. If you have duplicate tags within your site, add writing custom tags to your SEO action plan. If you have a large website, or one that features a large amount of dynamic data – like an e-commerce website – find ways to semantically code your tags. Most content management systems and website platforms will automatically generate the title tag to start with. If you want to override or customize the default title tag at scale, work with your developer or within your website platform settings to find ways to add more detail and customize at different levels. The more you can scale and not have to manually manage hundreds or thousands of tags, the better. An example of a dynamic structure could include some standard text in all product page tags but with the specific name of the product populated from the database. For example, it could be “[product_name] groomsmen gifts from The Man Registry.” The bracketed “product_name” would be a variable that would populate that part of the title with the actual product name in the database. In this case, you wouldn’t have to manually write all product title tags and can ensure they are unique. For cases where you have the same products with variations or attributes like different colors – you can also look at ways to add more variables from the database. We can all relate to times we really want to find an answer to something specific, yet the top ranking sites are answering a different question. The same goes for great content that gets unnoticed. Knowing what your audience is searching for, and how they are searching, is critical for title tag optimization. 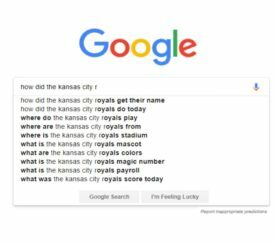 If you don’t know what words and phrases people are using when they are searching, then you’re at risk of guessing wrong. Don’t skip keyword research or ignore it when you are optimizing title tags. You don’t have to worry about every literal version of a keyword or phrase in the current context-based era of SEO, but you also can’t ignore the searcher and their intent. Your goal for an optimized title tag is to match the wording that you use with what is being searched for as long as the perceived intent is the focus of the content of the page. Remember that the title tag will be shown as the text in the blue link in the search results page (SERP). This is prominent real estate and the message featured here greatly impacts the searcher’s decision on whether to click through to your site or move on to the next search result. Your focus must be on answering the question, need, or desire of the searcher. Having a clear vision of what your page is about and what the desired outcome is for you and your visitor are critical. If you’re trying to accomplish too many business goals on a single page, it can be hard to focus clearly enough on what the call to action (CTA) should be. If you find this to be the case, consider breaking your content out into more topics and pages. Much like the art of writing a solid PPC text ad headline, the title tag needs to match the intent of the searcher to earn their click. When writing your title tag, keep in mind that the tag is truncated by Google at 70-71 characters. The user won’t see any word past that character count. Get your important words and phrases in there. Be concise, be direct, and prioritize the important words to appear as early in your title tags as possible. For example, you might have the average sounding home page title tag of: “Groomsmen gifts and unique men’s gifts by The Man Registry”. You could test out more actionable language like “Shop the best groomsmen & unique men’s gifts at The Man Registry”. Avoid repetitive and spammy looking titles. Resist the temptation of overdoing it with your title tag. The search engines are focused on context – not literal keyword use, frequency, and density. Pick words that are clear to the topic of the page and intent and stick with them in the title tag. You can use longer form areas of the page to elaborate and build on that context. An example of a dangerous title tag would be: “Groomsmen gifts, Groomsman Gifts, Gifts for Men, Unique Gifts”. Overplaying and repeating words is a quick way to find trouble. Don’t overemphasize the importance or impact of the title tag alone. 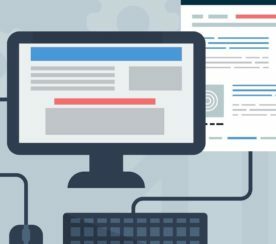 While you might see a small bump from optimizing all the title tags on your site, you can’t expect that the title tag alone is your key to SEO success. Holistic search optimization is much more important. In many cases, title tag optimization is just the start or an entry point until you are at the top of the SERPs – making small adjustments and have the luxury of spending time obsessing over minor wording changes to see how they impact rankings one position at a time. The title tag is just one of many elements that are part of a thorough SEO plan. In a vacuum, the title tag is not a significant detail, but working in context and conjunction with all other on-page factors within a single page, and in concert with all pages of a website, can factor into the success of gaining more traffic. Through the direct impact of CTAs in SERPs to signaling what the page is about, the title tag can be helpful. Title tag issues on a website including tags that are missing, too short, duplicate, stuffed full of too many repetitive words, or are otherwise not helpful can signal bad SEO and a bad user experience overall. So make sure that title tags always have the proper place in your optimization plan.